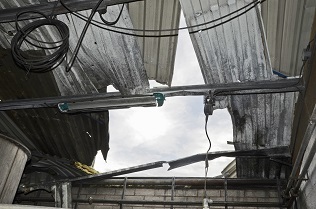 A gas fitter has been sentenced following a major explosion in Irlam which injured ten adults and five children, and left a 73-year-old woman with severe burns. An explosion at Shanghai's Riteng Computer Accessory Company factory has left 61 workers injured, 23 of whom have been hospitalised with burns. The accident occurred on Saturday afternoon, with the factory in the middle of a trial production run of aluminium back panels for Apple's iPad 2 tablet.